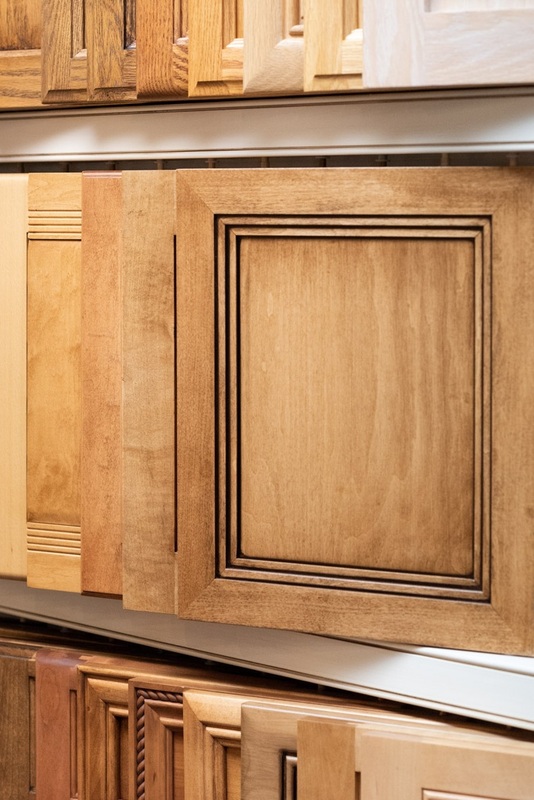 Understanding Cabinet Door Styles — Sligh Cabinets, Inc.
Slab doors are typically found in contemporary or mid-century modern homes. Made from a solid piece of wood or edge-banded plywood, a slab door is a simple, flat surface without stiles or rails that are seen in five-piece detail doors. If the door is made out of solid wood, it will require batons which are solid bars of wood attached to the back side of the door. These add support and help prevent the wood from bowing or warping. If the door is made out of plywood, it will not require batons for extra support. This door style is made just as it sounds, from five pieces of wood attached using either cope-n-stick or mitered construction methods. Five-piece detail doors can have either a recessed panel or raised panel in the center, surrounded by a frame. Because of the variety of construction methods and options, five-piece detail doors come in many different styles to suit almost any home. These two different construction methods offer a slightly different look. Cope & Stick doors are made by joining two vertical and squared pieces of wood (stiles) with two horizontal and squared pieces of wood (rails) around the center panel. This creates vertical seams near each corner of the door. On the other hand, the stiles and rails of mitered doors are joined at a 45 degree angle, creating an angled seam in each corner. Recessed panel doors look just as they sound. The center panel is flat and slightly recessed from the bordering steps and rails. Unless the door is a shaker style, there is usually some sort of angle or detail between the recessed panel and the border. Raised panel doors differ because their center panel is raised to the same height as the steps and rails by some sort of s-curve or angled shape on the outside edges. One way to add some visual interest to a door, particularly slab doors, is to add an edge detail. Instead of a standard and simple square edge, the door will have a routed edge. Some common edge details are finger pull and cove. Another detail that can be added to your doors is a bead or applied moulding. There are two scenarios where this moulding would add visual interest to your door style. First, in a flush inset cabinet construction, bead moulding can be applied to the inside edge of the door opening, adding a decorative edge to an otherwise simple area. At Sligh Cabinets, we refer to this cabinet construction as small bone flush inset. Second, a moulding can be applied to the inside ledge of recessed panel doors to add visual interest. 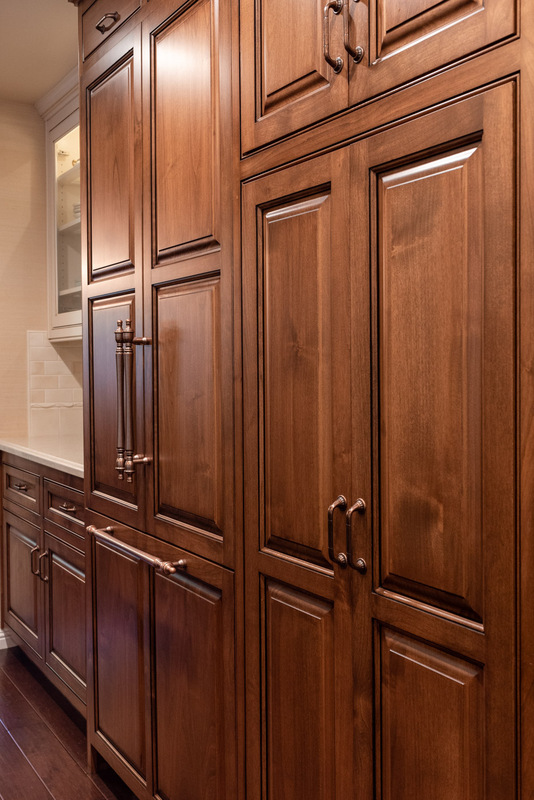 Finally, one of the most popular ways to enhance a cabinet door style is to add glass panels in place of the center wood panel. French doors are a popular choice for this application. However, there are a variety of glass styles that are both beautiful and functional when displaying glassware or collectibles in your cabinetry. If you decide to add lighting to your cabinets with glass panels, we recommend installing glass shelves as well. These glass shelves allow light to pass through each level and light every item in the display instead of just the top shelf. 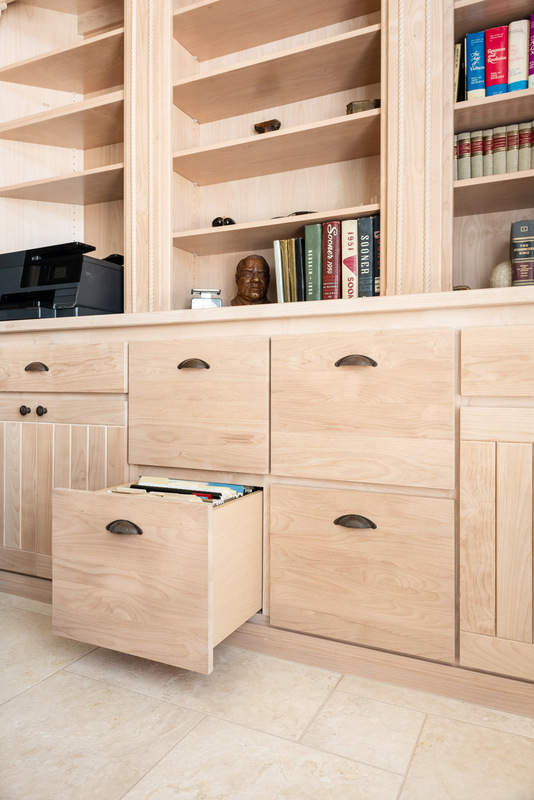 We hope this guide has given you a better understanding of the terminology we use to describe custom cabinet doors and drawers. If you have any questions or would like to get a design started for your own custom cabinets, our team would be happy to help you. Simply visit us in our Paso Robles showroom.